Side A of mine plays Rendez-Vu. Is this a common thing or do i have a rarity? The versions of Red Alert here are slightly earlier than the single release the following year. These versions here being a superior mix and have the added bonus of a different dub and the B side. Yo Yo is different too to the LP and other versions I have heard, once again, being better than those. This 12 inch is also very rare, with only 1000 pressed up. 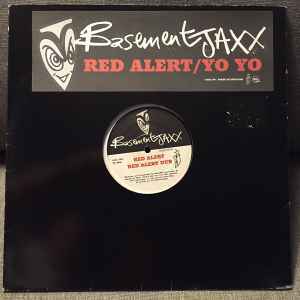 Grab this with both hands and treasure it as being the very best thing Basement Jaxx have done apart from the original Fly Life single.